Fed officials may be eyeing early end to balance sheet runoff. The Federal Reserve’s (Fed) newfound flexibility has led Fed leaders to discuss the possibility of holding a larger portfolio of Treasuries than previously expected when the original wind-down began two years prior. Some investors criticized the shrinking portfolio as a driver in the recent bout of market volatility. Overall markets have behaved better in 2019, with global equities up 6.4% after a weekly gain of 0.2%1. 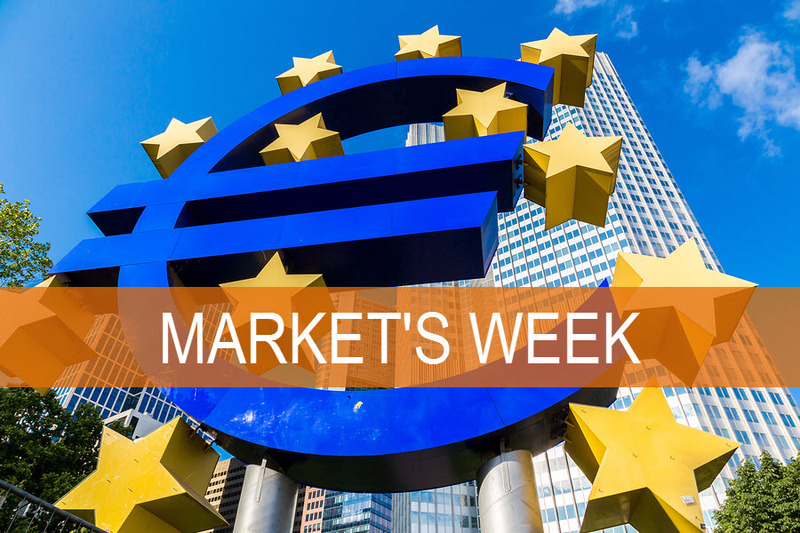 Emerging market (1.4%) and non-U.S. developed market equities (0.5%) drove the weekly gain2. U.S. equities (-0.1%)3 finished last week mostly unchanged after a Friday rally failed to overcome negative returns early in the week. The U.S. (7.0%) leads all regions year-to-date, followed closely by emerging markets (6.6%) and non-U.S. developed markets (6.2%)4. Both the 10-year and 2-year Treasury yield fell last week, resulting in a slightly flatter yield curve as the 10-year yield sits 15 basis points (BPS) above the 2-year yield5. Manufacturing data reflects slowing growth. Flash Purchasing Managers’ Index (PMI) readings outside of the U.S. fell below December’s readings in the first release of the year. Japan and Germany saw the steepest declines to 50.0 and 49.9, while Europe reported a smaller decline to 50.5. The U.S. surpassed expectations and the prior reading, moving up to 54.9. More countries are toeing the line near 50 where readings above 50 represent expansion and readings below represent contraction. Service PMI data across Germany and the U.S. remains well in expansionary territory while Europe’s latest drop to 50.8 brings it closer to the dividing line. Central banks struggle to hit inflation targets. The European Central Bank (ECB) continues its accommodative policy leaving its deposit rate at -0.4%6. The ECB’s €2.6 trillion quantitative easing program ended in December but the ECB plans to reinvest maturing bonds a long while past the time that it starts raising rates. ECB President Mario Draghi stated that economic risks have shifted to the downside but he still believes the central bank can push rates higher in the second half of 2019. Prior to the meeting Draghi indicated that stimulus would be required in order to boost inflation. The Bank of Japan (BOJ) faces similar struggles reaching its 2% inflation target after cuts to forecasts for 2019-20207. The BOJ left policy unchanged and Governor Haruhiko Kuroda believes that there won’t be a severe global slowdown. Earnings growth tops expectations. So far, 113 S&P 500 companies (23%) have reported earnings with aggregate year-over-year earnings growth of 13.0% and revenue growth of 5.4%8. Earnings growth has topped expectations by 1.7%, while revenue growth has been roughly in line with expectations9. Earnings season reaches halfway point this week. Companies from various sectors will report throughout the week including, Verizon (VZ), AT&T (T) and Facebook (FB) out of communication services. General Electric (GE), 3M (MMM), Caterpillar (CAT), Boeing (BA) and United Parcel Service (UPS) release earnings out of the industrials sector while Pfizer (PFE) and Merck (MRK) post for health care. Other notable companies this week include Apple (AAPL), McDonald’s (MCD), Microsoft (MSFT), Amazon (AMZN), Chevron (CVX) and Exxon Mobil (XOM). No rate hike expected in first Fed meeting of 2019. In a busy week in Washington that includes the next round of trade talks with China, the Federal Reserve will hold its first meeting of the year. Expectations for a rate hike remain low but investors will listen closely to Fed Chair Jerome Powell’s press conference to see if the Fed will continue to remain patient before tightening policy any further. Meanwhile in the UK, parliament will meet this week to try to determine the post-Brexit relationship between the European Union (EU) and the UK, possibly resulting in a delay of the Brexit deadline. Friday’s job report is expected to add 165k jobs. The unemployment rate and wage inflation are expected to remain unchanged at 3.9% and 3.2% y/y, respectively. In addition, the Fed’s preferred inflation measure, core Personal Consumption Expenditures (PCE), will be released this week and is expected to remain at 1.9% y/y. 1) Bloomberg. MSCI World Index returns for 02Jan2019 - 25Jan2019 and MSCI World IMI Index returns 21Jan2019 – 25Jan2019, respectively. 2) Bloomberg. MSCI Emerging Market Equities Index and MSCI ex-U.S. Equities IMI Index returns 21Jan2019 – 25Jan2019. 3) Bloomberg. MSCI U.S. Equities IMI Index returns 21Jan2019 – 25Jan2019. 4) Bloomberg. The major regions returns are the MSCI U.S. Equities IMI Index, MSCI ex-U.S. Equities IMI Index and the MSCI Emerging Market Equities Index returns year to date 02Jan2019 – 25Jan2019. 7) Fujikawa, M. Wall Street Journal. Bank of Japan Lowers Inflation Forecast. Retrieved 25Jan2019 from https://wsj.com/articles/bank-of-japan-lowers-inflation-forecast-11548214991. 8) Thomson Reuters. S&P 500 Earnings Dashboard. Retrieved 25Jan2019 from http://lipperalpha.financial.thomsonreuters.com/2019/01/this-week-in-earnings-9/.